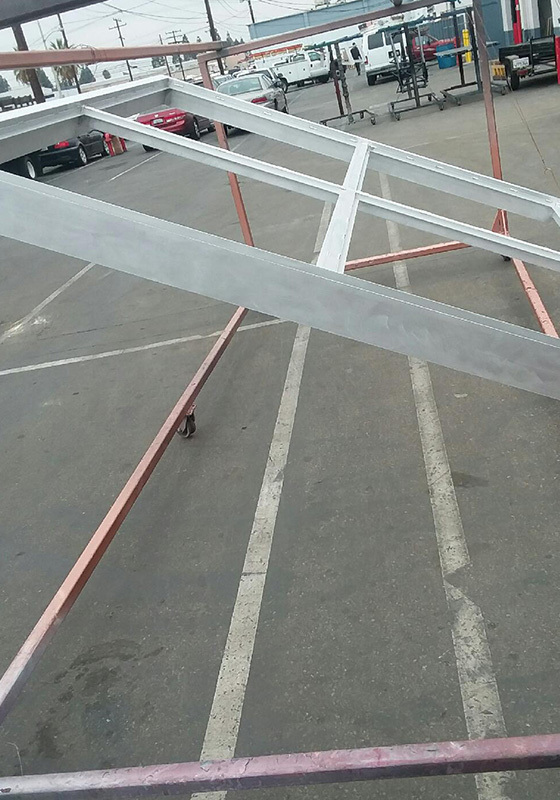 Orange County Powder Coating is a local, family-owned company that provides high-quality, competitively priced powder coating, sandblasting, bead blasting, and chemical stripping services to commercial and industrial clients as well as consumers throughout Anaheim, Fullerton, Yorba Linda, and surrounding area. We have served the local area for over 60 years and earned the trust of tens of thousands of clients. These items can be made of aluminum, steel (copper plate and buff), magnesium, stainless steel, pot metal (die cast), brass, or tin. With our blasting capabilities, we can also resurface signs and other items made of wood. 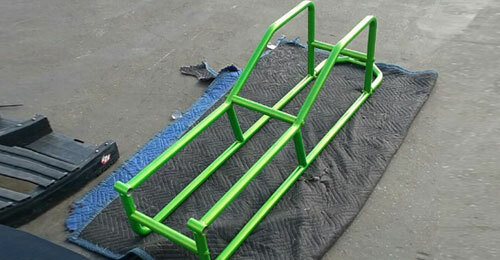 Our experienced staff will always use the best material and practices to prepare your property for powder coating. We have commercial-grade abrasive blasting equipment and an extensive stock of sandblasting media, including sand, glass beads, and steel grit. To determine which blasting media to use, we can either follow specs provided by your engineer or provide expert recommendations based upon a thorough assessment of your item. In addition to abrasive blasting, we also offer aircraft-grade chemical stripping. 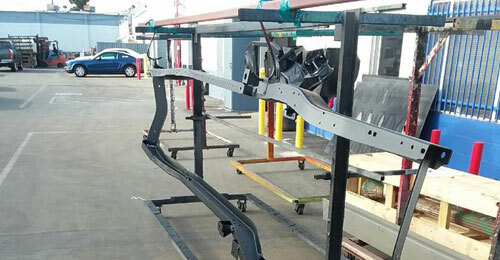 At Orange County Powder Coating, we carefully monitor the production process from start to finish, using precise cooking times, oven temperatures, and advanced trade techniques to ensure a smooth, durable, and colorfast finish. 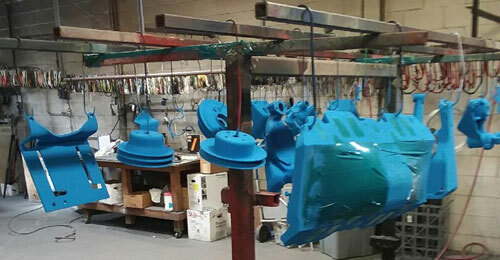 We stock an impressive inventory of 500 premixed powder coat colors. We even carry popular "candy colors," and can order anything we don’t have on hand at no extra charge. Because of our reputation for achieving high-quality results, we frequently receive referrals from other local shops who aren’t qualified to perform the work we do. We also stand behind our workmanship with a "no attitude redo program." If you find something amiss with your order and we discover we were at fault, we will correct it for you free of charge. Visit or stop by our shop today for a free quote on your next powder coating, blasting, or chemical stripping project. We are conveniently located in the City of Orange, near Anaheim, Fullerton, Yorba Linda, Huntington Beach, Irvine, Tustin, and Santa Ana. We are open Monday - Friday 5am - 4pm, with Saturday appointments available. For a reasonable fee, we can also provide pick-up and delivery, on-site assessments, and emergency powder coating and blasting services.